As you might know, Ramen is one of Japan’s comfort foods with Japanese curry, miso soup and rice ball. Some people even say they can eat ramen three times a day, or can eat only ramen for the rest of their lives. 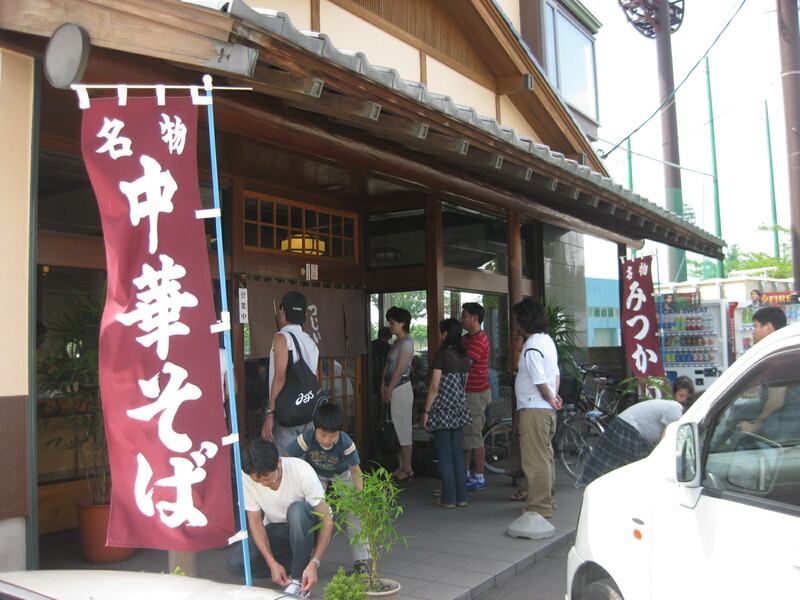 I’m not that crazy for Ramen, but would like to introduce one of the most popular Ramen places in Aomori-city. 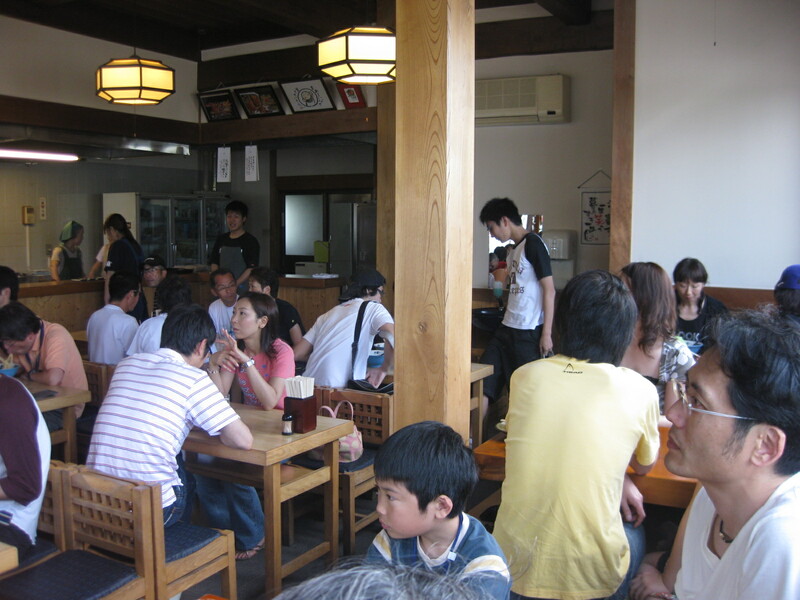 You don’t really see people waiting in line for restaurants in Aomori-city, and I was impressed that Tsujii Ramen had a long line of people waiting outside of the restaurant. Of course the seats were full. We ordered Ramen and Mitsukake, very “classic” way of order I assume that 90% of people should order the same way. 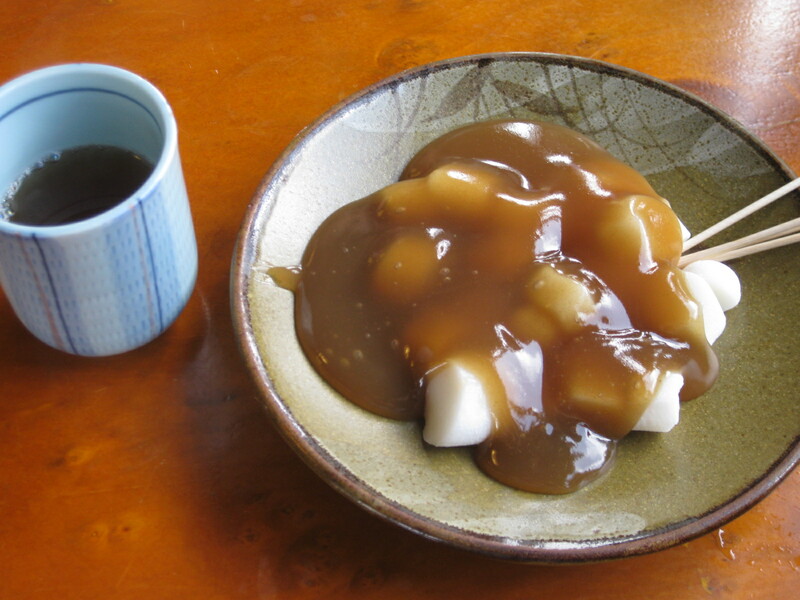 This is “Mitsukake”, rice cake with brown sugar syrup, Tsujii’s most popular dessert. Rice cake is usually served before Ramen, so should I say it is an…appetizer? 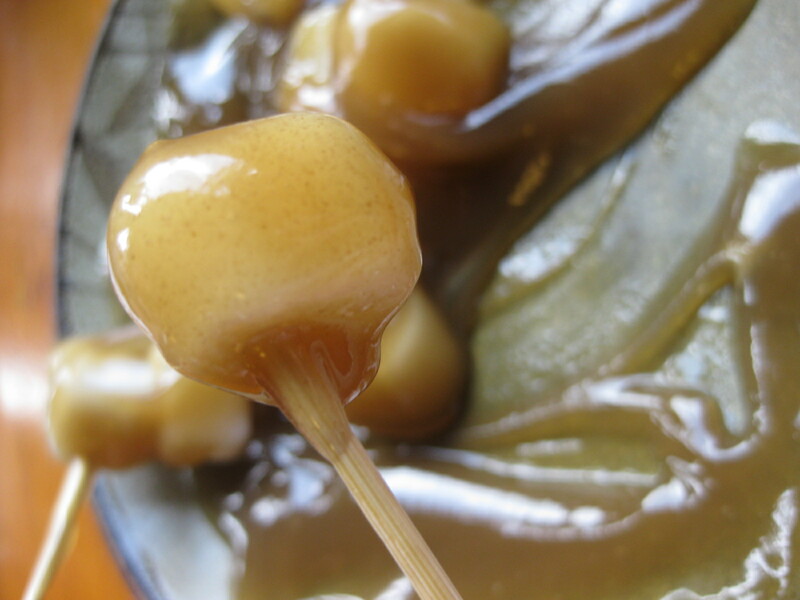 The rice cake is tender, and if you like the taste of brown sugar you will definitely love Mitsukake! I thought I should leave some to eat after Ramen, but we just ate it up in 2 minutes and even wanted to have another plate. 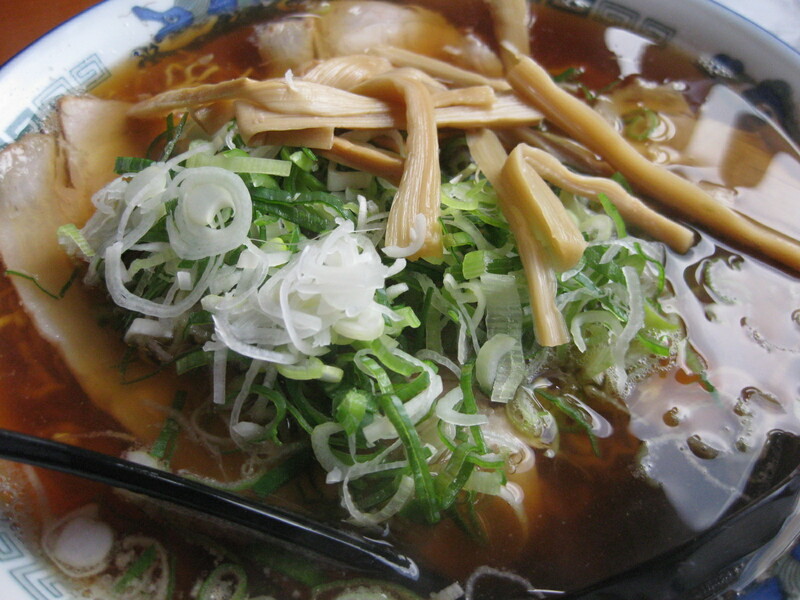 Here is Tsujii Ramen – it features fine and curly noodles and the broth made with dried sardines and soy sauce. The soup taste a bit salty to me, but people living in northern, colder area tend to prefer the salty and strong taste, and I think that’s why this place is loved by Aomori residents. Toppings are simple. Green onion, sliced pork and seasoned banboo shoots. There are 2 Tsujii Ramen restaurants. One is located by the sea and nicknamed “Umi-Tsujii”（literally sea tsujii）, and another is located in the outskirt of the town, and called”Yama-Tsujii”(literally mountain Tsujii). They both have big fans, so if you like this kind of ramen, it’s worth trying the both Tsujii restaurants!